PARLIAMENT – Speaker of Parliament Rebecca Kadaga on Tuesday demanded the arrest of Lt Col James Nuwagaba, the commander of the UPDF Fisheries Protection Unit (FPU), who she together with several MPs accused of torturing fishermen in the operations against illegal fishing on Lake Victoria. Ms Kadaga, who was reacting to Bukooli County MP George Ouma Abbot’s concern over the conduct of the soldiers, also revealed that she had interacted with several fishermen who had blamed the soldiers. “The Prime Minister is directed to come tomorrow [Wednesday] and address us on this impunity. The Prime Minister should come without fail,” she said. “That man Nuwagaba must be arrested,’ the Speaker added. Ms Kadaga tasked Maj Gen, Ivan Koreta, one of the ten UPDF representatives in Parliament, to explain the brutality. Maj. Gen. Koreta said the Defence ministry and the head of the army would be better placed to respond. 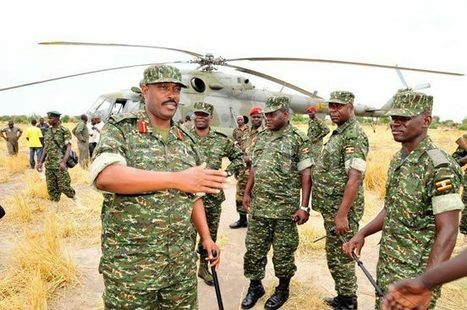 “What is going on in the lake are acts of indiscipline on the individual level; it is not condoned, supported or agreed [to] by the command of the UPDF,” he added. While launching the Uganda Law Society quarterly Rule of Law Report at Serena Hotel in Kampala on Monday, the Speaker tasked the UPDF Officer in charge of Human Rights, Brig. Charles Wacha, to explain why UPDF is taking longer to bring to book individual security officers who tortured MPs and other civilians during the Arua Municipality By-elections and residents along fishing communities. “The brutality meted against civilians in the fishing industry has gone unabated because they have sent the complaints to UPDF Command and nothing has been done. I want to know how to initiate proceedings,” Kadaga added. The Speaker’s remarks follow recent visits in Buvuma, Buyende and Nakasongola where UPDF Marines Forces are accused of torturing the people living on the Islands.